Our family is very familiar with long road trips. We’ve lived all across Canada because of my spouse’s job in the military and I’ve learned a thing or two over the years to help make your road trips as smooth and stress-free as possible. This holiday season many of us will be hitting the roads as we head for visits with family. We plan to drive back to Ontario in the next few weeks to visit my family for the holidays. It’s a 22 hour drive in good weather so I’ll be putting these holiday road travel tips I’m sharing today into use. Whether you’re heading out for a long road trip like us or a short excursion, these tips can help to make your journey less stressful. 1. Clean the car and pack bags the day before leaving. There’s nothing worse than running around the house last minute trying to throw clothes and other essentials into a suitcase. You will forget something! Trust me, I know because I’ve done this and I find it starts the trip out on a stressful note. The day before get all your laundry done and pack your suitcases so then you only have to add the last minute items right before you leave. I also prep the car before leaving and clean out any trash that’s hanging around. The vehicle will likely get messy on the trip so it’s best to start out with a clean vehicle! 2. Allow lots of extra time for travel. Road conditions in Canada can change quickly so it’s best to give yourself lots of time to get to your destination. Being in a rush can be especially dangerous in the winter if the roads are bad and you don’t want to get pulled over for speeding. It’s horrible to feel like you’re running late so just don’t do it if you can help it! 3. Stock up on drinks and snacks. Whether you are traveling with children or not, it’s good to have some snacks and drinks with you in case hunger hits. Kids often get cranky when they’re hungry so giving them something to eat or drink will keep them feeling comfortable and hopefully avoid any meltdowns. 4. Check the weather before you go and plan accordingly. If there’s a huge winter storm coming, then you may want to adjust your plans and leave a day early or at a later date. I have the Weather Network app on my phone and always look to see what the weather will be like at home and my destination. 5. Keep a winter survival kit in your vehicle. Hopefully you won’t ever have to use it, but get the peace of mind to know it’s there if you need it. The Government of Canada has an excellent list of what you should keep in your vehicle for road emergencies. 6. Bring cash for tolls. I know in Canada we don’t have as many toll roads like they do in the USA, but it’s still a good idea to keep some loose change in your vehicle just in case. When we drive to Ontario from Nova Scotia, we have to pass through a toll at Cobequid Pass. 7. Don’t forget the wet wipes and grocery bags! The wet wipes are great to wipe kid’s messy faces and hands and use the grocery bags to put all your garbage in. When you get to a rest stop, you can throw it out in the trash can there. It’s much better than kids (or adults) just throwing the trash on the floor of the vehicle! 8. Fuel up at Shell and earn AIR MILES. You’re going to need to get gas anyways right? So why not take fill up at Shell and get some AIR MILES reward miles on your purchase. You can also pick up snacks and there’s usually a washroom at the gas stations I’ve been to that you and your family can use. If you’re staying home and have family coming to visit you this Christmas, pick them up a Shell Gift Card either in store or online. It’s a gift that shows you’re happy to see them and one that they can definitely use! It’s hard to believe in a few short weeks, the holidays will be here. If you’re traveling, please do so safely! 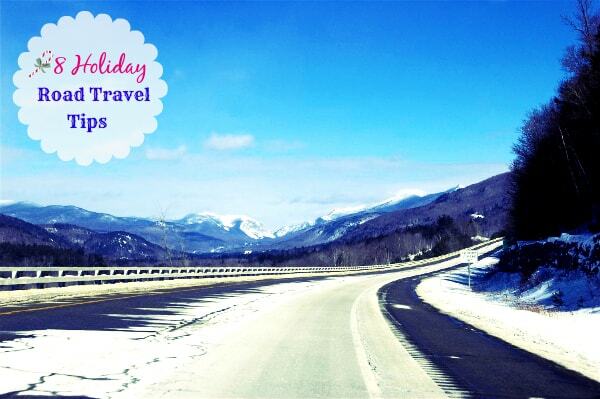 Do you have any holiday road travel tips? Never turn down a gas credit -with the price of gas these days – every drop is welcome. Not fat, but a little ways! We are spending Christmas at our favorite Ski resort with the rest of the family. Yes we are travelling but only a couple of hours. No, family are coming to me this year. We are staying home this year, bought braces for my daughter instead 🙁 BUT we are going to see family in January and this would really help! Not out to the city, but I will be ferrying relatives around in cold wearher and warming the card constantly! Sure will … Nova Scotia to Ontario, too! To see family in town but a quick get away somewhere hot ater Christmas! I do have to travel some but hoping it isn’t during a snow storm or very far. We’re away right now, but will be home for Christmas.